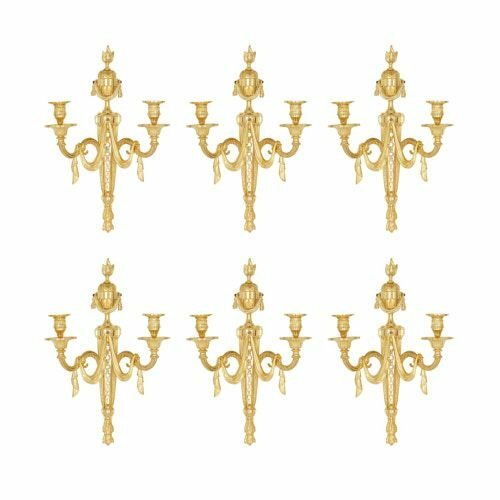 These finely gilded antique wall lights are delightfully modelled in the timeless Neoclassical style, incorporating swags of drapery and flaming urns. 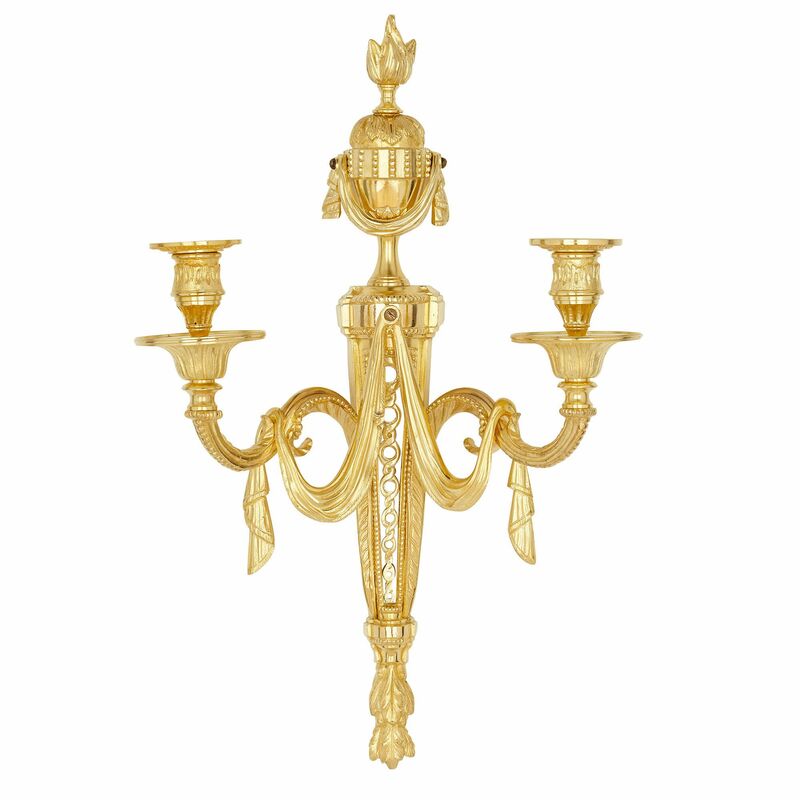 Each of the six wall lights is composed of a central stem, with a pointed end and flaming urn top, and two arms, which will hold candles. 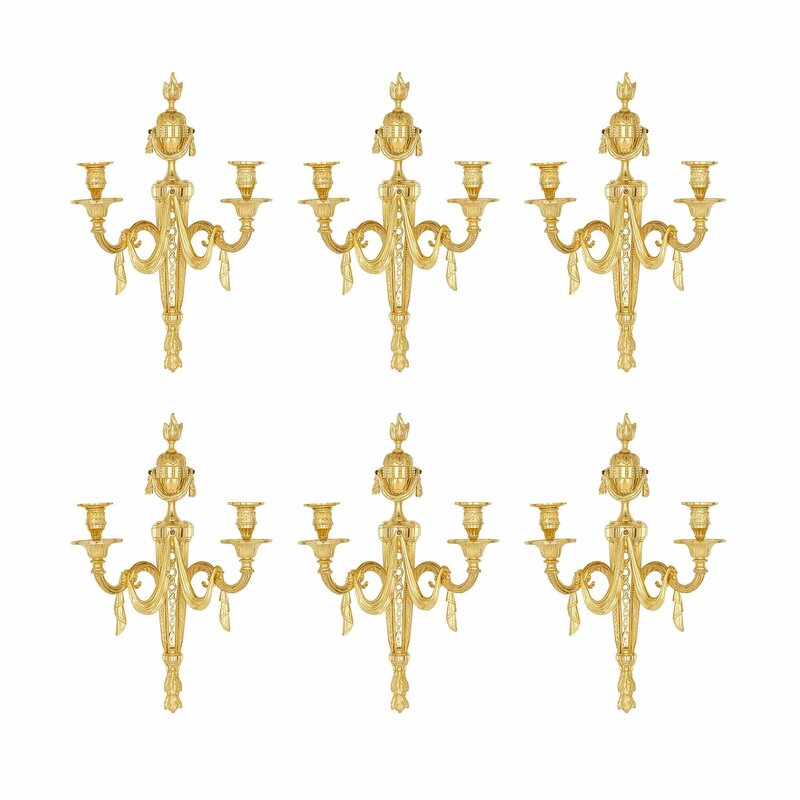 Each light has a lower finial, which is cast as a bunch of acanthus leaves that hang down from the stem. 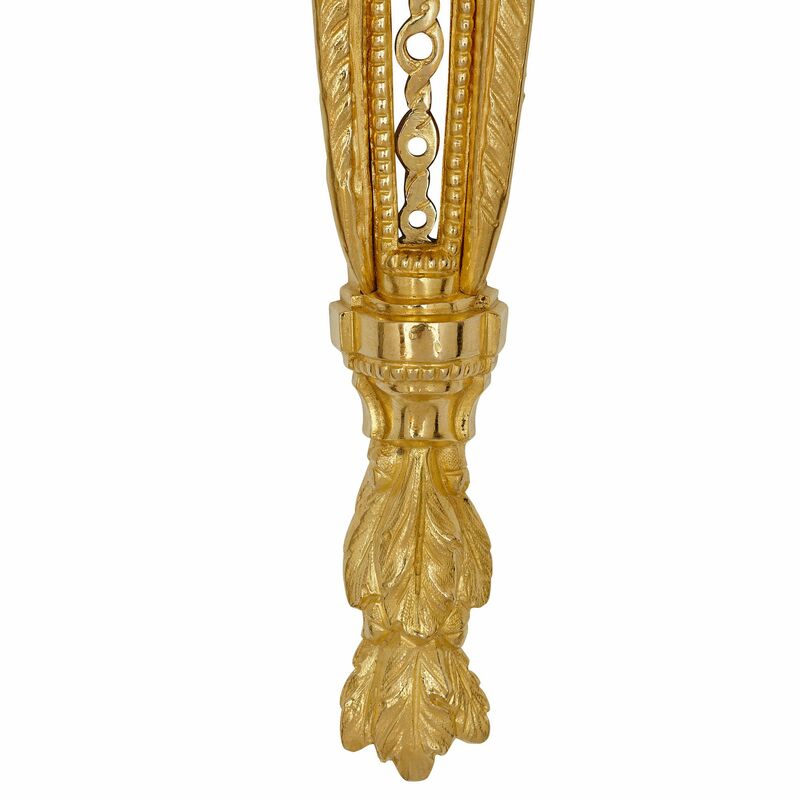 Above, each stem features a pierced chain motif at its centre, which is framed by beading. 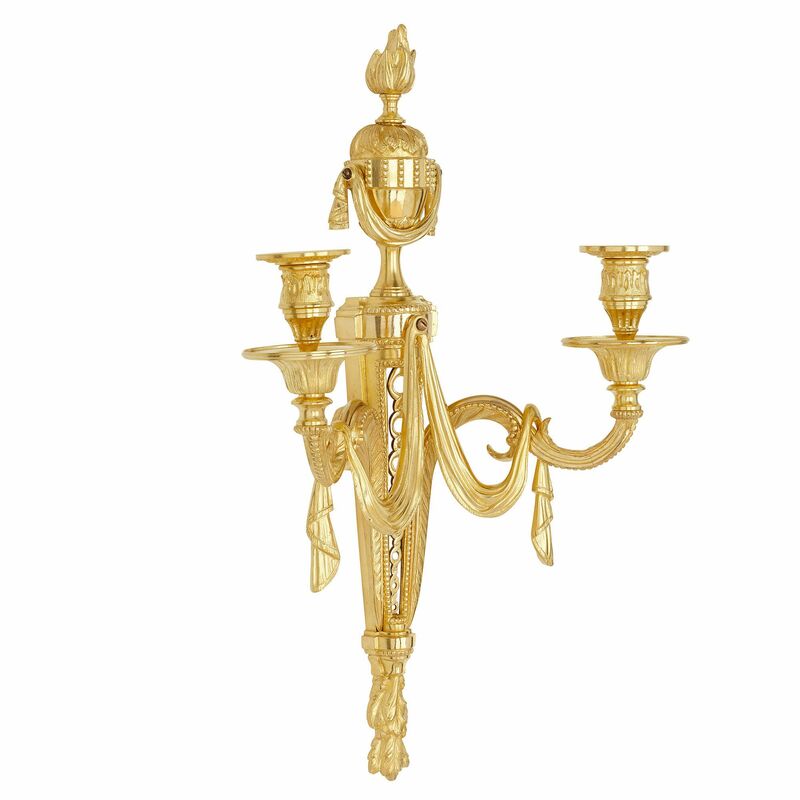 From the lowest points of each stem, springs the two arms of the wall light. These imitate twisting pieces of rope, which are edged by beading. On each, a piece of drapery loops down from the neck of the stem and back up to be tied around the arms. The arms support wide, fluted drip-pans, with capitals and simple sconces above. 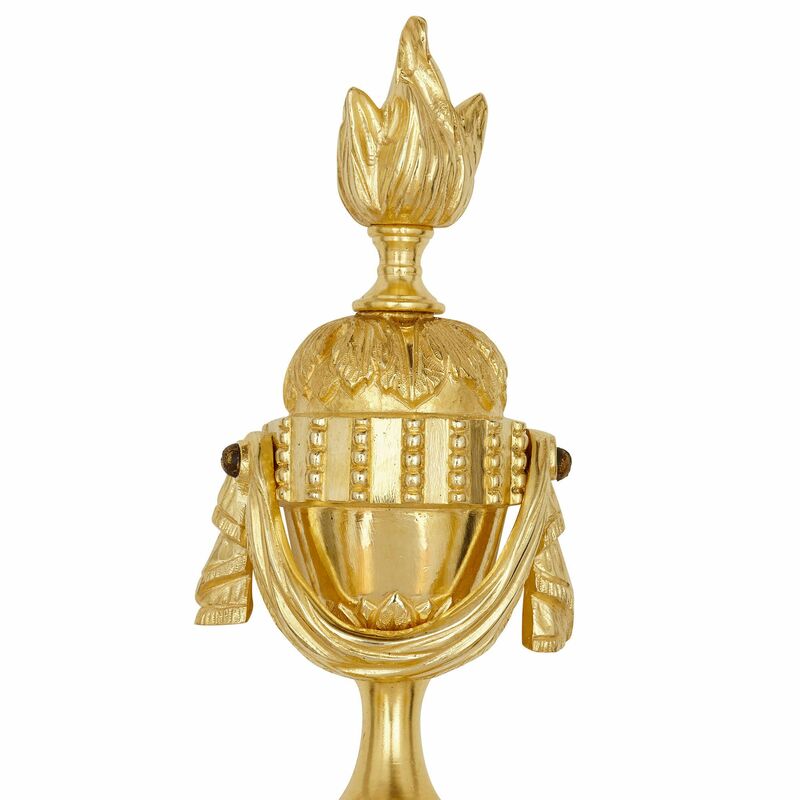 A classical urn — decorated with acanthus leaves and a frieze, and draped with fabric — crowns the stem of each light, terminating with a large, flickering flame finial. 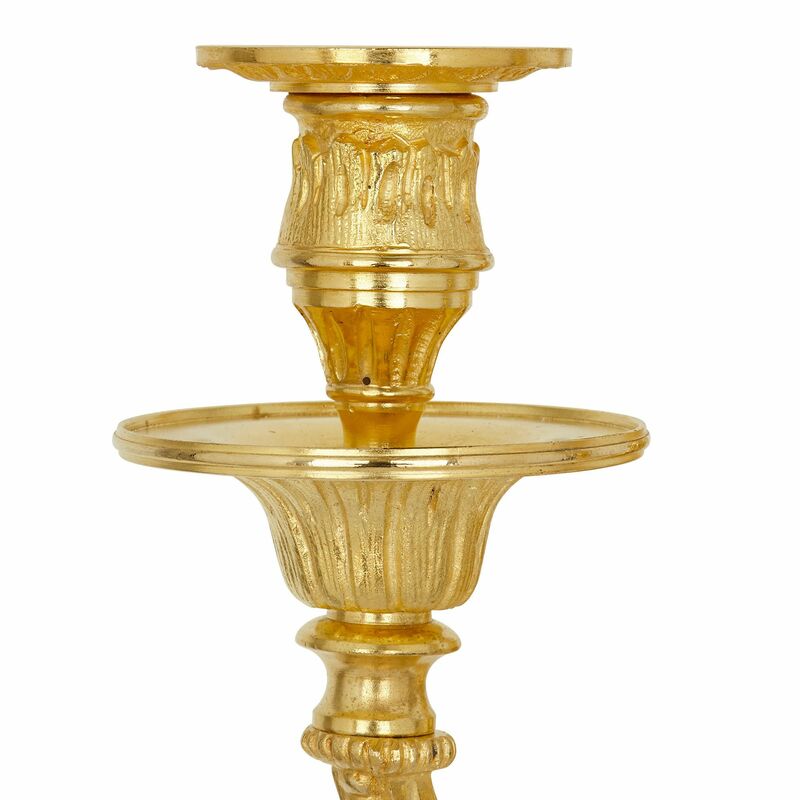 The shiny, golden appearance of the ormolu will beautifully catch and reflect the light produced by the candles.